Pole barns are a great addition to your property, adding space to store items and do work, whether for business or a hobby. To make these buildings usable year-round, adding HVAC systems for pole barns provides the climate control you need through all four seasons. What options are available for heating and cooling pole barns? Below, we detail the available options. When it comes to heating and cooling pole barns, there are a few different system types available. 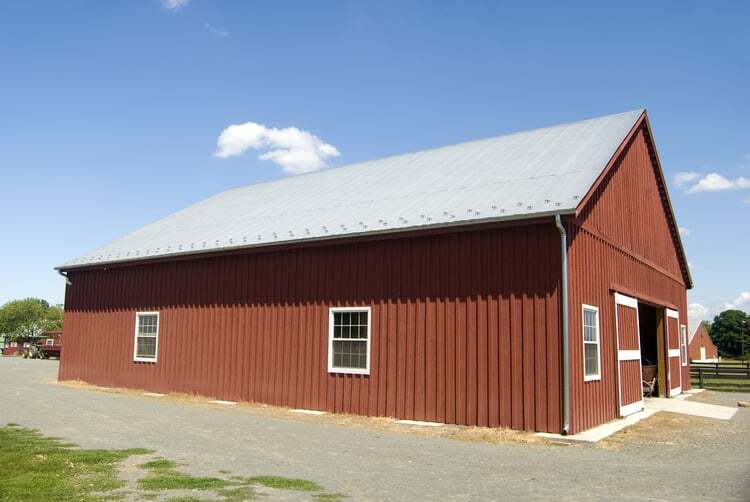 What works best for you will depend on the size of your pole barn, its construction, and your budget. Forced air heating and cooling for pole barns is a great choice for larger buildings. They require ductwork, which typically isn’t an issue as there is usually ample overhead space available for installation. 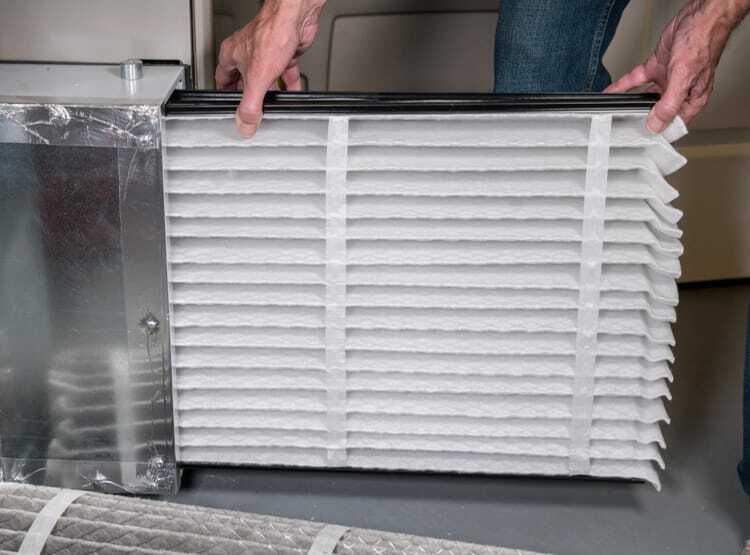 These systems operate just as forced air central heating and cooling does in the home – an installed furnace, heat pump, or air conditioner supplies the interior space with heated or cooled air when called for. A ductless mini-split HVAC system provides heating and cooling for pole barns. These systems are often used to provide heating and air conditioning in new expansions without the need to install a duct system. For heating and cooling pole barns with a ductless HVAC system, one or more interior air handling units are installed on the walls of a pole barn, and are connected to an exterior heat pump through a line set that runs through the exterior wall. Radiant in-floor, surface or ceiling mounted heating systems are another popular HVAC pole barn solution. Unlike forced air systems that work by conditioning air, radiant heating provides warmth to objects directly. This is often a more efficient choice for pole barns that will have doors or windows opened often. Surface or ceiling mounted radiant heat panels provide primary, supplemental, or zoned heat throughout your pole barn, warming up quickly once turned on to rapidly heat the space. In-floor systems have a higher installation cost but provide longer heat retention, typically using a network of water-filled piping to heat the area. In-floor systems also create warm floors within the building. Pellet or wood-burning stoves are an economical HVAC pole barn option. They can be installed within the pole barn or located outside and connected to an interior forced air component to distribute heating inside the building. Fans are often used for cooling pole barns, creating a wind chill effect by continuously moving air throughout the interior space. Ceiling fans or other installed fan units circulate air to make the body feel cooler, rather than actually lowering the temperature of the air. A window air conditioning unit is another option available for cooling pole barns. These are a good solution for smaller structures rather than larger buildings. 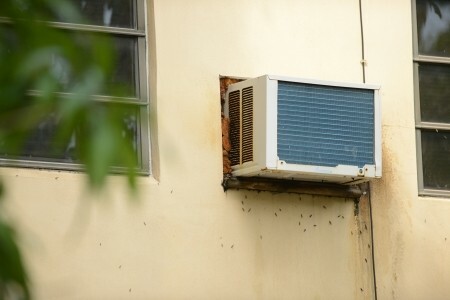 Window air conditioners do not need ductwork to deliver cool air to the space. Searching for HVAC pole barn help? HVAC.com has countless resources available to help you learn about the available options, equipment, maintenance, and service of HVAC systems. When it’s time to implement new HVAC systems for pole barns, we recommend you work with a local HVAC company to assess your needs and provide appropriate solutions. Use our HVAC Contractor Directory to search for an HVAC contractor near you. When you enter your ZIP code, you’ll receive a thorough listing of the nearby HVAC companies who can help you with heating and cooling pole barns.